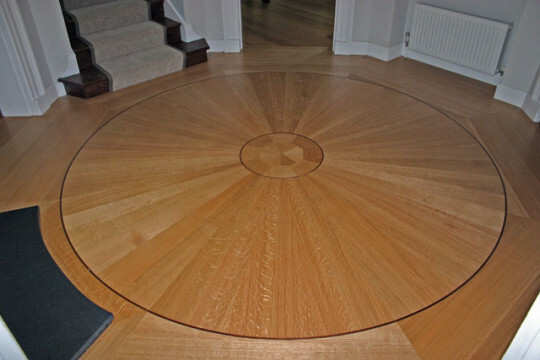 We create new hardwood flooring in boards, blocks, parquet and marquetry – excellently! All our work is carried out by our own skilled craftsmen trained to the highest standard. Chris York, founder of Mulberry Flooring, is part of a long tradition. Chris trained to produce hardwood flooring to the finest International standards of workmanship with David Gunton, under some of the best craftsmen parquetiers in the country, who had carried out many exclusive commissions all over the UK and abroad, including the restoration of the complex geometric parquet and marquetry floors damaged in the great fire at Windsor Castle. From the creation of the finest new hardwood floors to the careful restoration of all types of existing wood floors, bringing them back to original condition or better. We maintain high standards of design, specifying, setting out, fitting of new parquet, marquety, board floors and restoration. We deliver superior, old fashioned, craftsmanship.